California Medicare Fraud Defense Lawyers - Oberheiden, P.C. With substantial experience in federal healthcare defense, Oberheiden, P.C. represents doctors, pharmacies, laboratories, hospitals, and other healthcare professionals in Medicare fraud investigations throughout the country, especially in California. The lawyers at Oberheiden, P.C. include former federal healthcare prosecutors as well as seasoned healthcare defense attorneys. 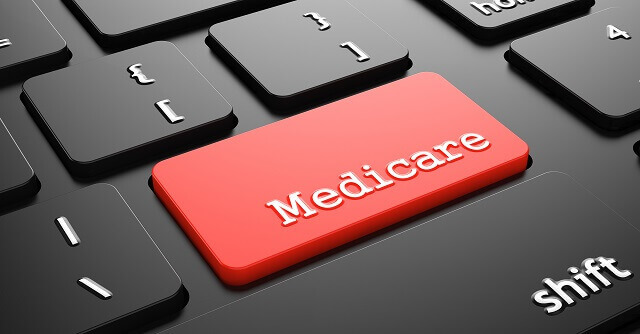 A conviction of Medicare fraud can be life altering – resulting in crushing fines, exclusion from federal healthcare programs, and even prison time. As a result, a Medicare fraud investigation is a grave matter that should be taken seriously. At Oberheiden, P.C., we understand what is at stake for our clients. With that in mind, we have developed an “Emergency Defense Package” focused on one overriding priority – to avoid criminal charges and conviction. Formulated based on our years of experience as federal healthcare prosecutors and healthcare defense attorneys, our Emergency Defense Package uses proven defense techniques, methods for quickly responding to our clients’ pressing questions and concerns, and strategies for promptly analyzing the nature of an investigation. With a stellar reputation for success, our Emergency Defense Package has received national recognition from accredited news sources. If you are facing an investigation for Medicare fraud, you want a law firm whose reputation and track record you can rely on. With your livelihood and your freedom on the line, you need attorneys in your corner who are recognized and respected. Avoiding criminal charges and criminal convictions is our utmost goal in all of our representations. We have a proud track record of helping our clients escape criminal charges following healthcare fraud investigations in California and throughout the United States. From our experience representing clients in federal healthcare fraud investigations, we understand how documents or activities that may look suspicious are often the result of human error and not fraudulent intent. Our familiarity with the healthcare industry and our experience as former federal healthcare prosecutors helps us to succeed in explaining to investigators and prosecutors that our clients are merely may have made mistakes but are not guilty of fraud. We have helped many clients resolve investigations without criminal charges. In our experience, the sooner the target of an investigation hires defense counsel, the more likely that individual will be to avoid criminal charges. The former federal healthcare prosecutors and veteran defense attorneys at Oberheiden, P.C. bring a stellar reputation and a wealth of knowledge to every client they represent. Servicing clients throughout the United States, Oberheiden, P.C. has a particular presence in California. If you have reason to believe you are under investigation for Medicare fraud, you should contact Oberheiden, P.C. today for a free and confidential consultation. Our attorneys are standing by seven days a week – including weekends – to answer your questions or discuss how we may be able to help you in our case.